The G&S MasterControl automation system offers substantial cost savings to plant operators. The operating personnel only operates the central control unit. Time-consuming manual component tests are replaced by automatic routines. Electronic data logging avoids reading errors, saves time and provides secure documentation for the test runs. achieved by displacing the oxygen in the air. and the retrofit of Fire Dampers. Regular checks of fire sprinklers are required according to the VdS and FM guidelines. The control operations are divided into daily, weekly and monthly sections and must be documented in a log book. In particular, the verification of the alarm pressure switches, flow switches and the pumps represents a lot of work, which is significantly reduced by the use of MasterControl automation. 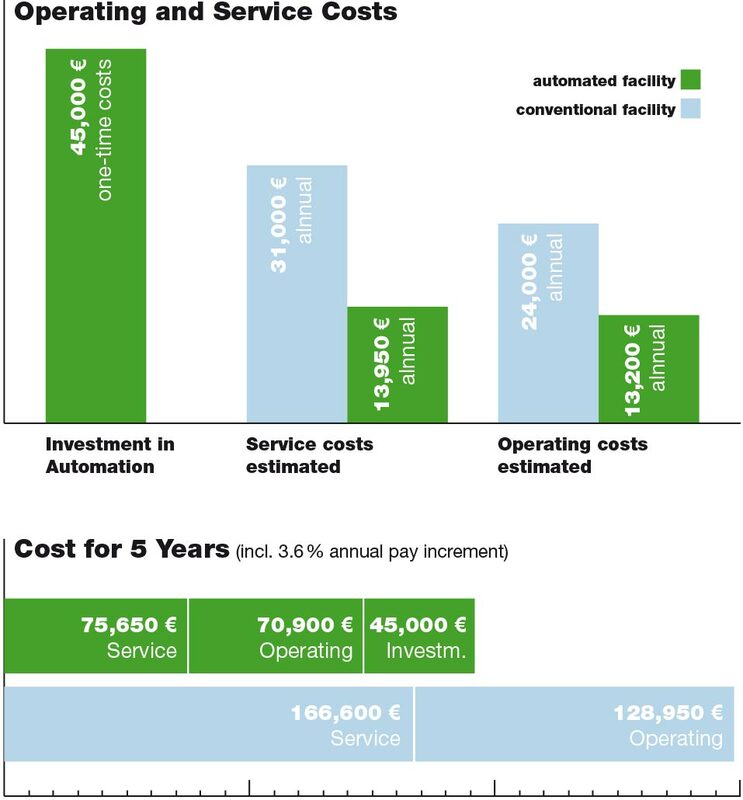 This results in cost savings, which pays for the investment costs within a short period of time. The regular inspections are divided into the daily inspection of the system and regular trial runs of the individual system components. The MasterControl system performs the routines to be tested fully automatically. All test results are documented immediately after the end of the test phases. A built-in printer and the graphical depiction of the sprinkler system is made available in the visualization system. Via solenoid operated valves, water flow through the alarm valve is simulated and the alarm chain is triggered. The control and documentation are undertaken automatically as per a predetermined sequence via the automation system. By means of parallel assigned valves to the flow switches and circulating pumps, a remote controlled water flow can only be produced by the respective flow detector. The response of the detector is again automatically displayed and documented in the visualization. In order to assess the pump performance, the recorded pressure and flow values ? ?are shown by the visualization in graphs and tables and compared with the reference curve. After completion of the test phase, all individual results are issued by the integrated printer and can be permanently archived according to the documentation policy. Functional testing of the alarm pressure switch (open the individual alarm test valves and triggering the alarm chain). Test of the flow detectors for alarm division by parallel manual testing or electrical check zones (water flow using flow detectors, signal transmission to fire panel). Control of automatic pump starts and operational readiness of pumps and their drives (during testing, the normal operating parameters of the drive motors can be achieved). Function control of the automatic refill devices for intermediate, pump fill and elevated tanks. Pump test run with target-actual comparison of the pump curve for determining the operational readiness and to control the automatic pump starts. Sample function of the mixing system / fittings in systems with foaming agent (no water, no foam). Flow detectors should be checked for their function and assignment to the protected area. Functional test of the monitoring system (min. one transmitter per monitoring line). All shut-off valves that control the flow of water to the sprinklers are to be operated to ensure the operational readiness. Sample function of the mixing system / fittings in systems with foaming agent (with water, no foam). Determine and document the performance data of the sprinkler pump using pump test runs in a characteristic curve* (starting up the operating points of the pump by adjusting the sample slide and determining the values ? ?for water pressure and flow rate). * The comparison of the recorded characteristic curve and manufacturer characteristic curve provides information about the condition of the sprinkler pump. The relevant pump will start automatically for implementation. Electrical control valves set the specified flow rates and the corresponding sensors record the pressures. The control valves are usually modified fully digitally by the control unit. Any questions to your own fire protection project? Our experts are happy to help you further. AND STILL ON FIRE FOR IT. This common type of water-based fire extinguishing system is reliable and easy to realize. The consitent use of VdS-proven components and diligent installation guarantee the highest leves of safety and compatibility to international standards. Deluge Systems are the first choice in areas where there is a risk of rapidly spreading fires. In case of fire, these spray deluge systems expose the protected object rapidly and extensively to extinguisher water. Also particularly suitable for cooling. Water mist already exerts its effect on flames and smoke – for safety of people and assets. Water mist extinguishing systems with pressure up to 120 bar needing less water, energy and space – the more, the less. The gas-based extinguishing systems with the greatest acceptance worldwide. CO2 is inexpensive, reliable, and is completely without residue – Systems are avaiable from a single rack to complex spatial solutions. 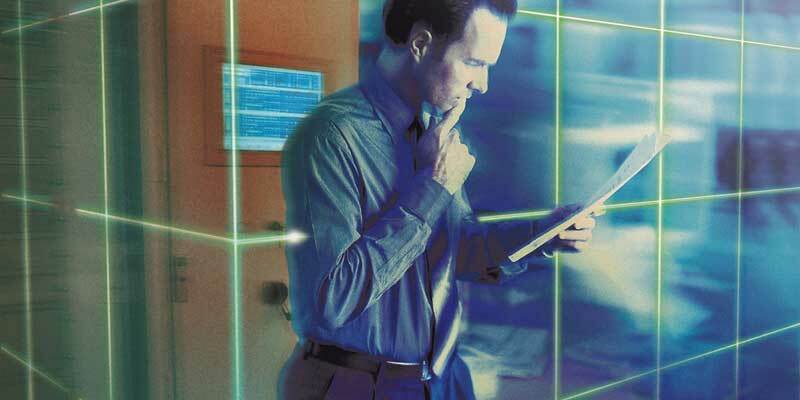 Systems certified for risk classes up to SIL 2 – an integral component in security concepts. Fire protection for power, petrochemical and process engineering – corresponding systems have been developed and installed for clients such as MAN, Kawasaki and Atlas Copco. Reliably and automatically protecting data processing and electronic control systems. The NOVEC system saves space with minimal assembly and installation work in or in front of the protected area. Substantial reduction of operating costs with automated sprinkler system inspections. Personnel only operates the central control unit.Time-consuming manual component tests are replaced by automatic routines. Renovate the fire dampers by installing a low-pressure extinguisher system. Low pressure extinguishing technology can be used as an alternative measure for old fire dampers to meet actual requirements. Get the Sprinkler-App. A useful tool to evaluate dimensions of sprinkler systems. Calculate dimensions of sprinkler pipes of whole sprinkler systems or evaluate the required capacities of portable fire extinguischers.